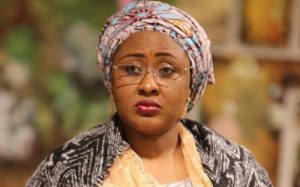 The wife of the President, Mrs. Aisha Buhari, has donated some relief materials to flood victims in Benue on Monday. Aisha, who made the donation at the Internally Displaced Persons (IDP) camp, according to NAN, at International Market Makurdi, said that she was in the state to identify with the Benue Government and the flood victims. 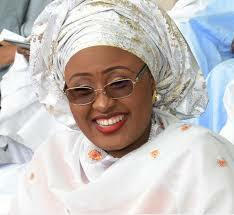 Represented by the wife of Nasarawa State Governor, Mrs Mairo Al-Makura, Aisha said more relief materials are on the way. She said that the relief materials were to assist the IDPs and facilitate their recovery from the trauma caused by the flood. The wife of the President donated 279 cartons of 3 in 1 Gari, Sugar and Milk, 50 cartons of Onga seasoning, 600 packs of rice and 400 cartons of beverages. Earlier, the Benue state Deputy Governor, Mr Benson Abounu, commended the wife of the President for her concern and care for women in the country. Abounu said that the flood has affected 21 local government areas in the state, adding that over 110,000 families were so far displaced. He said that the state was in receipt of relief materials from the NEMA and other donor agencies in the country and commended the President for his quick response to the disaster. He noted that the dredging of River Benue and construction of drainage was the only way to prevent future reoccurrence of the flood disaster in the state.